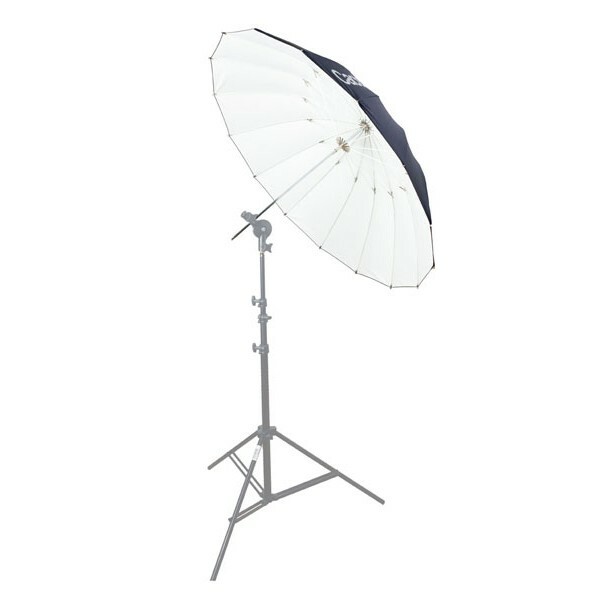 Designed to reflect and bounce the flash light onto the subject, Cactus F-403 expands the size of the light source and softens the hard light from a bare flash. The white-lined interior diffuses the light to create the most neutral color. The outside black covering prevents light from passing through and therefore contains light much better. 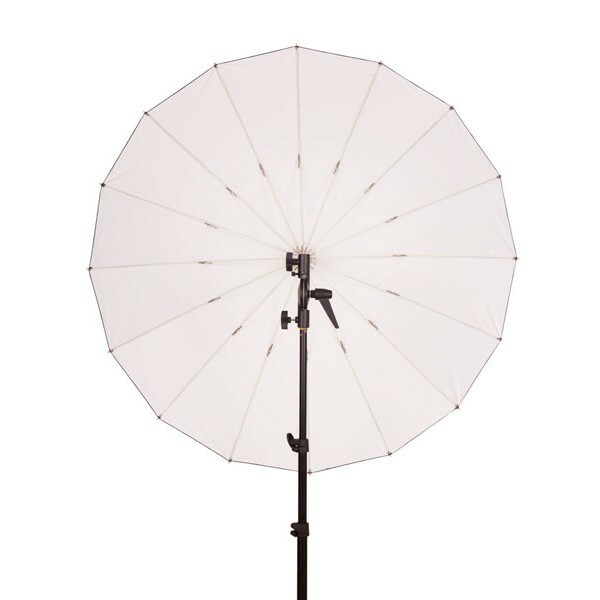 Umbrella frames are constructed with fiberglass to make it more durable. 16 ribs stretching through the canopy maintains a rounder and better shape. This design stands against strong wind much better than ordinary umbrella. 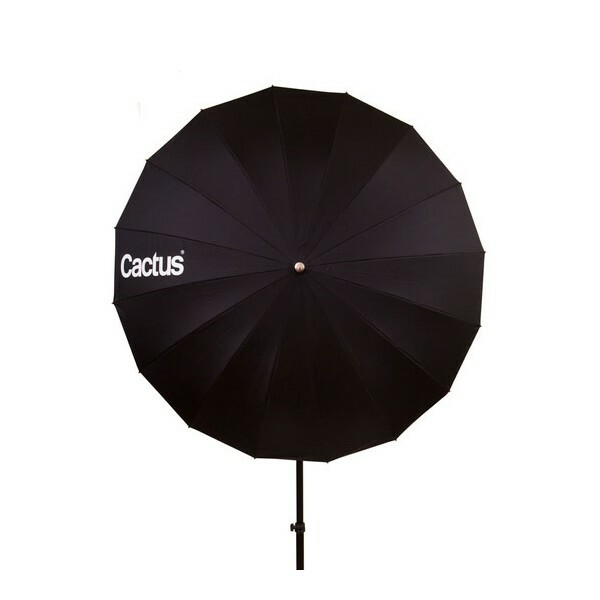 All Cactus lighting umbrella comes with carrying bag.